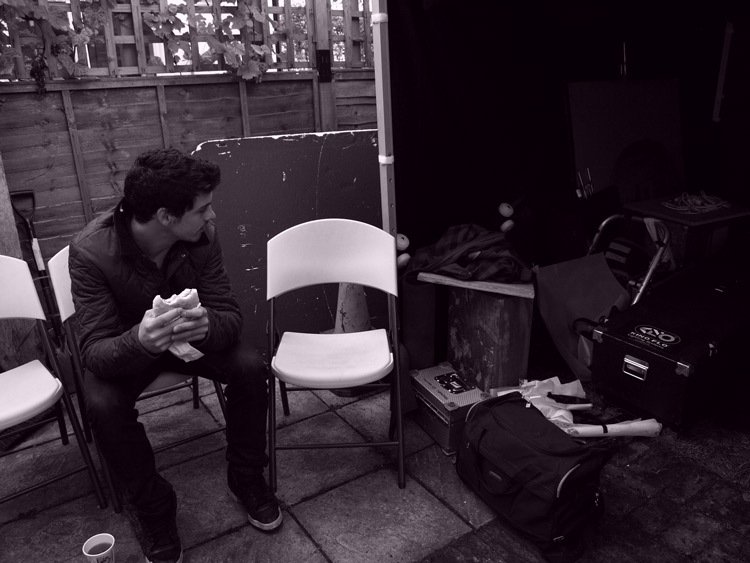 Andrew Hawley (‘Nick’) enjoys some breakfast outside by the equipment. 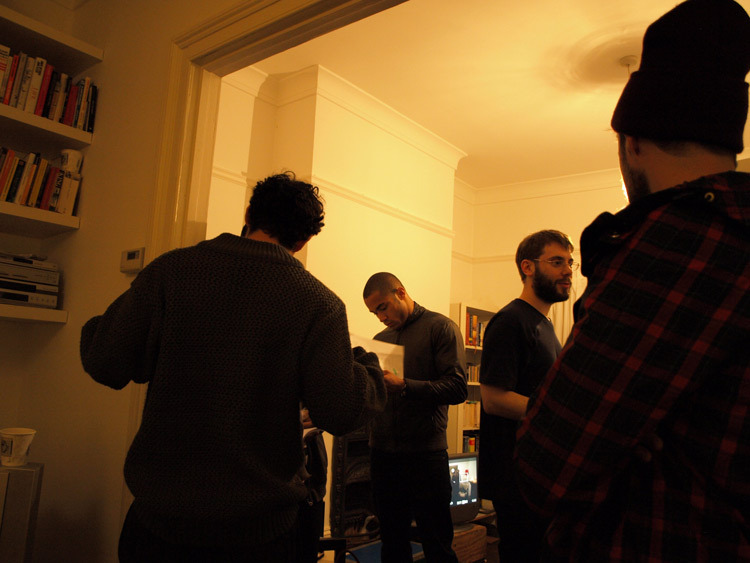 Left to right: Jack Gordon (‘Pete’), Joshua Osei (‘Vince’), writer/director Alex Barrett and Niall Phillips (‘Ollie’) get ready to rehearse. 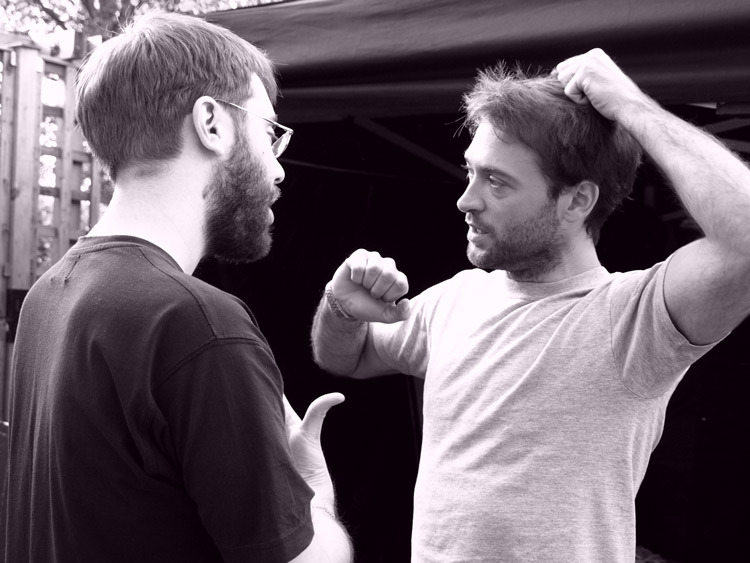 Writer/director Alex Barrett talks to actor Paul Nicholls (‘Bobby’) about the day’s scenes. 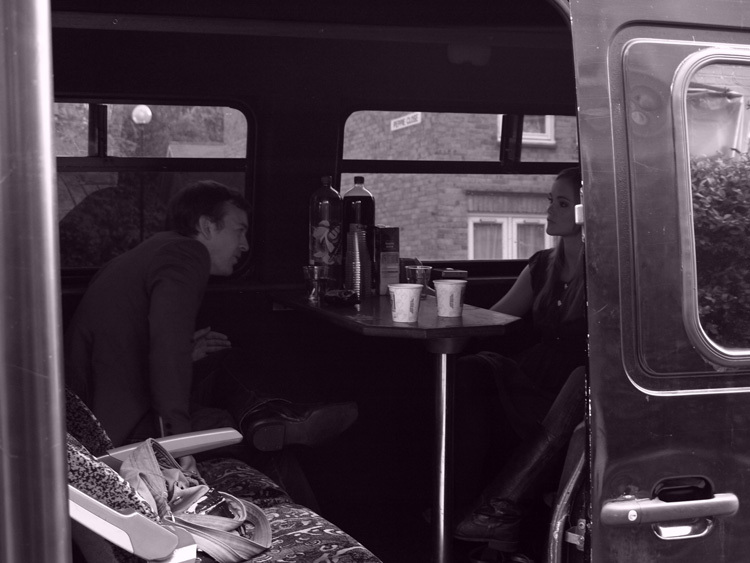 Actor Lachlan McCall (‘Lawrence’) talks to Jayne Wisener (‘Jay’) in the van. 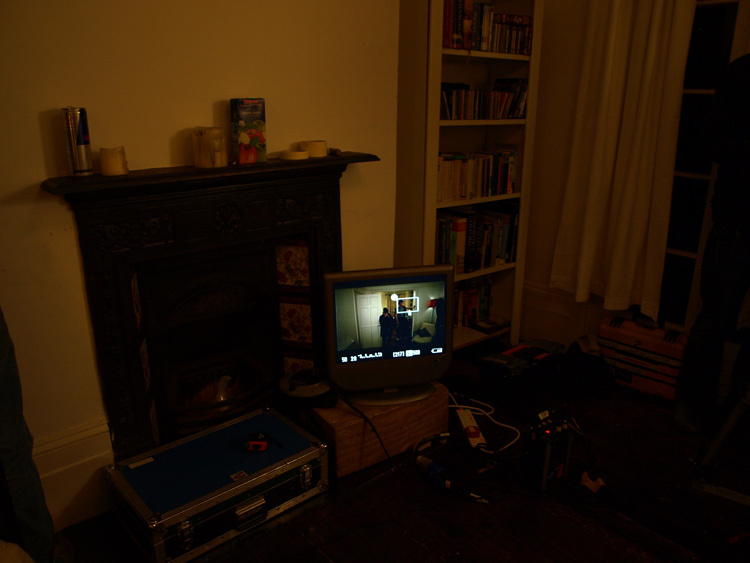 The van was used as an extra green room as there were too many people in the house! 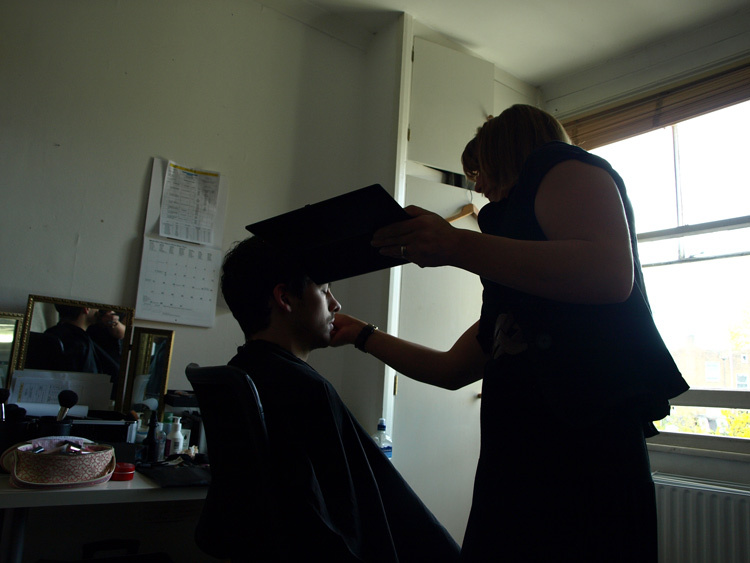 Makeup artist Lisa Smith-Milne working her magic. 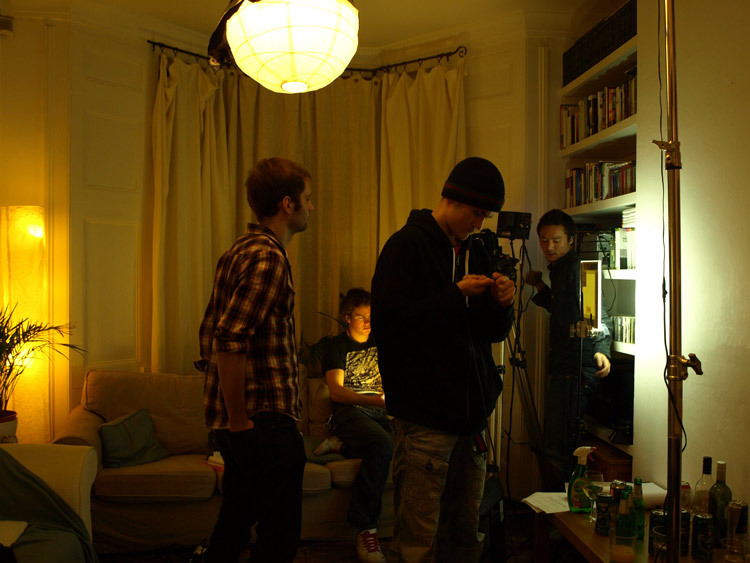 The crew (including cinematographer Yosuke Kato, left) get ready for another take. 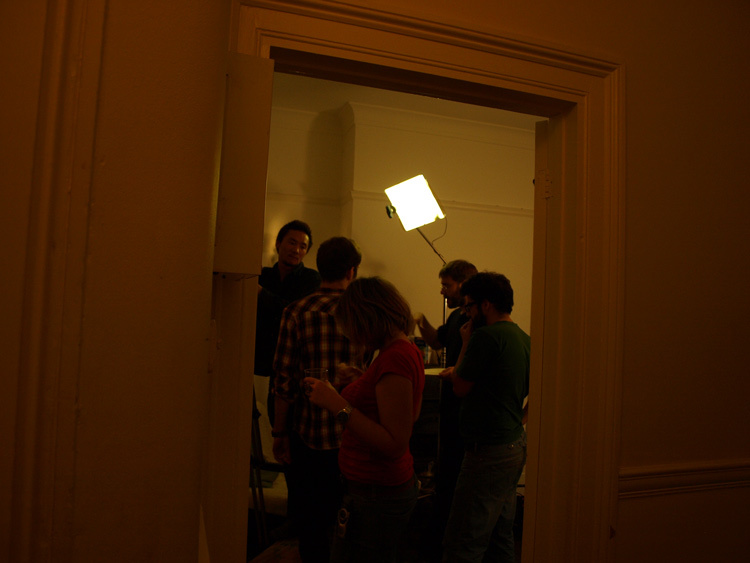 Setting up for the reverse angle. 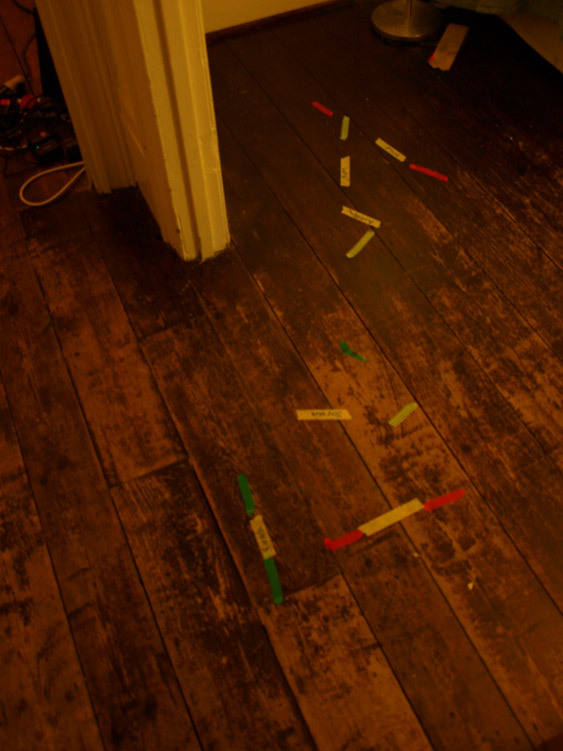 Lots of actors calls for lots of marks! 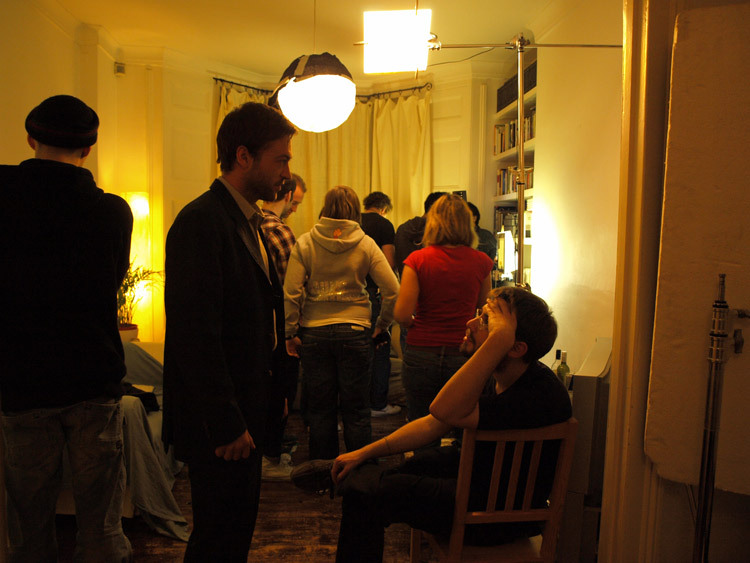 Paul Nicholls talks to Alex Barrett about the scene, while the crew stand in for the actors in the background.